Is there any paperwork or document for the mechanical systems of 7 Kenlea Crt, Aurora, Ontario? 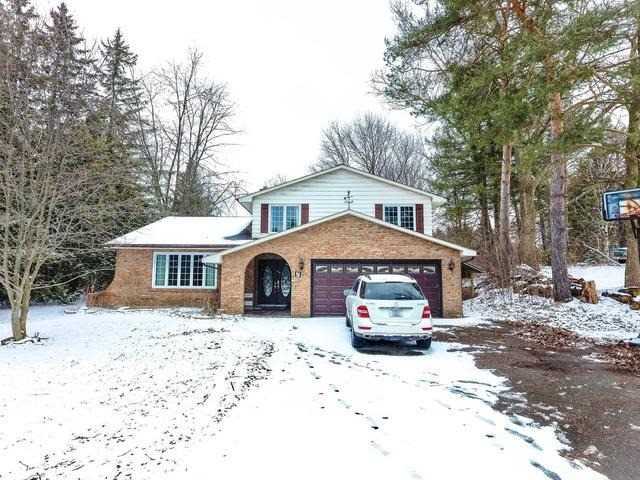 I need more information about the property at 7 Kenlea Crt, Aurora, Ontario. How ist the neighborhood, location and nearby amenities for 7 Kenlea Crt, Aurora, Ontario? I have questions about the roof, foundation, insulations and mechanical issues of 7 Kenlea Crt, Aurora, Ontario? I need more information about property details. What's wrong with this house? Is this a short sale? Is there any maintenance for 7 Kenlea Crt, Aurora, Ontario? What is this property worth in today's market? What are "closing costs", and how much? What steps should I take when looking for a home loan? What price home can I afford? Is my credit good enough to buy this house? What are the best mortgage options for me? How flexible is the seller on the asking price? How low can I consider offering for 7 Kenlea Crt, Aurora, Ontario? Tremendous Infill Opportunity In Aurora, Proposed Town-Home Development, Must Be Combined With 200 Wellington St. West Mls # N4062675. Total Combined Properties Size 3.03 Acres, (More Or Less),Includes Two Upscale Homes, Fronting On Wellington Street & Kenlea Court. A Rare Find In A Desirable Neighborhood, Municipal Water & Sewer Are On Wellington St., Lovely Mature Flat Parcel. Excellent Re-Development Site. Buyer Must Verify All Property Measurements And Taxes, Perform Own Due Diligence, Over 300 Feet Of Frontage On The North Side Of Wellington Street & Two Driveways On Kenlea Court. Must Be Sold Together.